Used ceremonially since ancient times for its elevating and expansive effects on the mind (so revered, it was gifted to the baby Jesus! ), Frankincense oil remains highly valued to this day for its distinctive warm, spicy scent and profound effects on mind and body. A premium oil for mature skin and anti-aging formulations, Frankincense stimulates regeneration and healing to rejuvenate and tone the skin. The opening effect of Frankincense is also felt in the respiratory system, helping to ease the breath and clear congestion. Frankincense is thought to have a calming and opening effect on the mind, ideal during meditation or times of stress and anxiety when a tight, contracted state is common. A great oil to diffuse during meditation, especially for those prone to an agitated mind. Celia R. Reviewed by Celia R.
I use frankincense therapeutic essential oil in my deodorants and body skin care products. Frankincense is a miracle essential oil and I have used this product over the last 5 years with tremendous success. It is great for skin care. Sarita B. Reviewed by Sarita B.
I like frankincense, but the Indian one is a bit different to the one I was used too. Though I still like it, would get the other type next time. 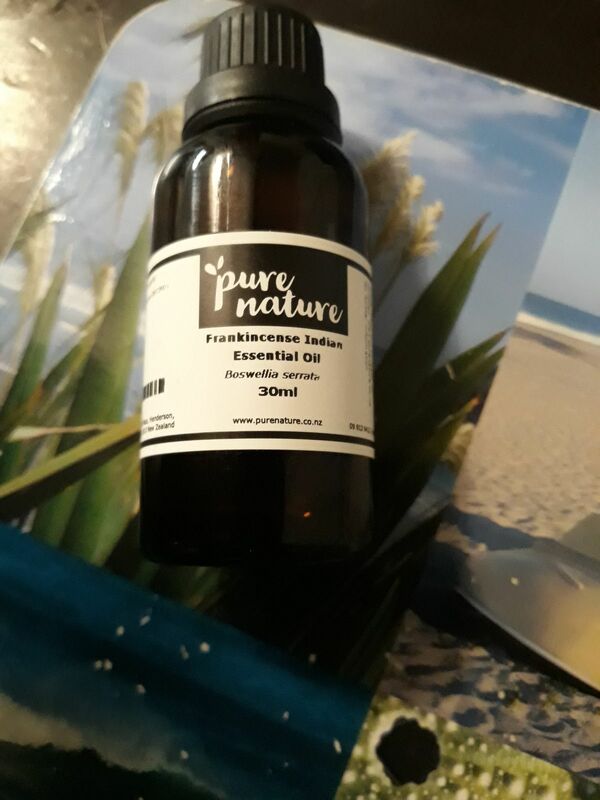 Angeline M. Reviewed by Angeline M.
I love this oil. Such a beautiful smell and at an amazing price! good value and absolutely love it, use it daily. Nellie W. Reviewed by Nellie W.